For a round of movie promotions, Taapsee picked Siddartha Tytler to wear. Ankle-strap sandals and wire-frame glasses (as predicted) rounded out her look. You like? Latest round of movie promotions had Patralekhaa in shimmery Siddartha Tytler separates. Wearing her hair down, she rounded out the look with matching ankle-strap sandals and Hyperbole tassel earrings. Personally, that tunic/top isn’t my cup of tea. Would’ve liked to see the tights paired with something else entirely. As is, the look seemed just a tad dated. At the Femina Women Awards, Divya was photographed in Siddartha Tytler. Wearing her hair up, she rounded out the look with Farah Khan Ali Fine Jewellery and a pair of Valentino sandals. Personally, lurex isn’t our cup of tea. That said, Divya did wear the outfit well. Though it’s got to be said, a softer do and a different lip-color would’ve taken the look up a notch. 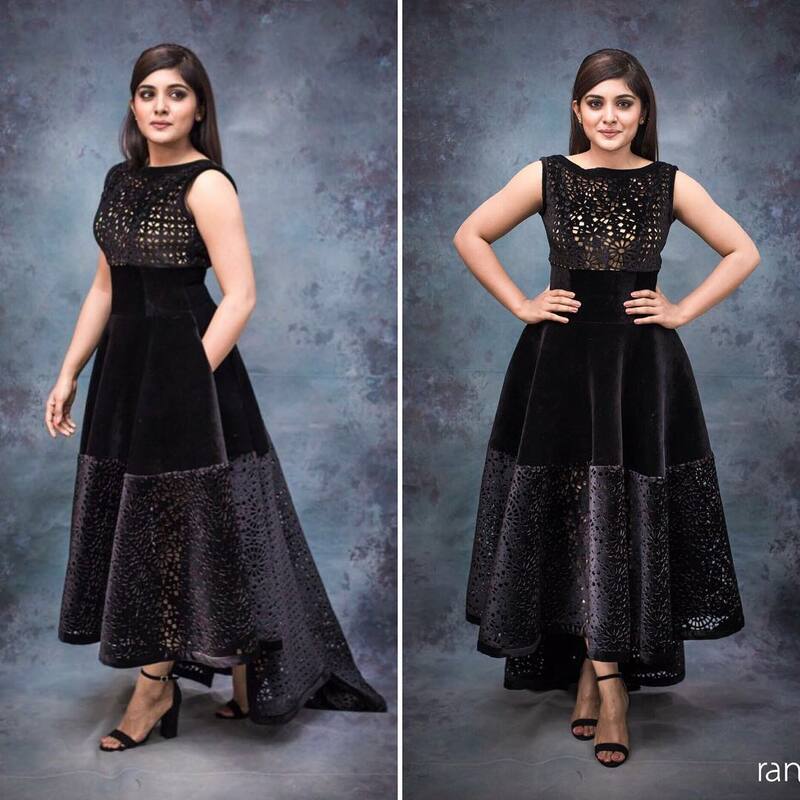 Nivetha, who started her career in Malayalam movies, was seen at the Filmfare Awards in Hyderabad wearing a black dress from Siddartha Tytler. The more I look at the bust, the more I feel like I should like this look less. But, oddly am very drawn to the look. I thought she looked really nice and it’s possibly because the velvet dress didn’t feel like the regular fare.